There’s a lot of interesting hi-fi going on in Serbia these days, and we’ve had a number of review inquiries. 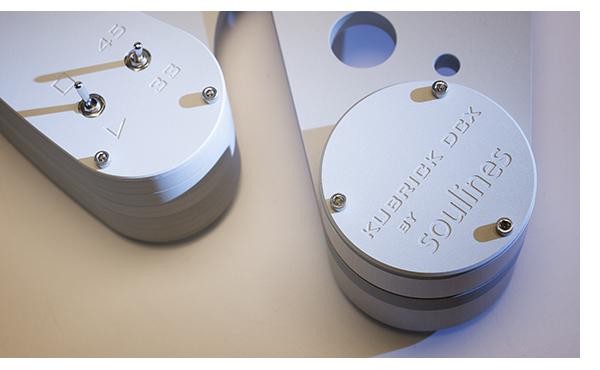 However, nothing was more intriguing than the new Kubrick DCX from Soulines; currently imported by Jason Tavares at Adirondack Audio in New York. 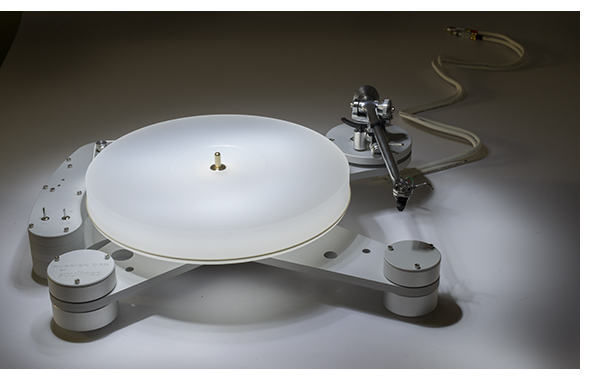 This beautiful belt drive turntable has a retail cost of $4,000 without tonearm. 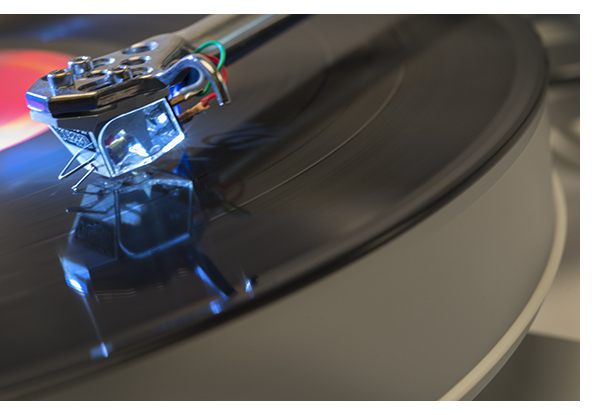 The review sample was equipped with a Rega RB2000 arm and Apheta 2 cartridge affixed, bringing the cost of this combination to about $7,000. Jelco and SME boards are also available and were supplied. With examples of both, it was easy to run the DCX through its paces with these arms as well. A quick touch up of tracking force on the Apheta 2 (1.75g) has records playing quickly. In the quest of perspective, the new Apheta was removed to compare with my original model on a pair of Rega P9 tables. You can read my thoughts on that soon, but suffice to say the new Apheta is more extended, slightly smoother and produces a larger soundfield than the model it replaces. More data points made it easier to judge the DCX on its own merit. Basic setup of the table is quick and straightforward. 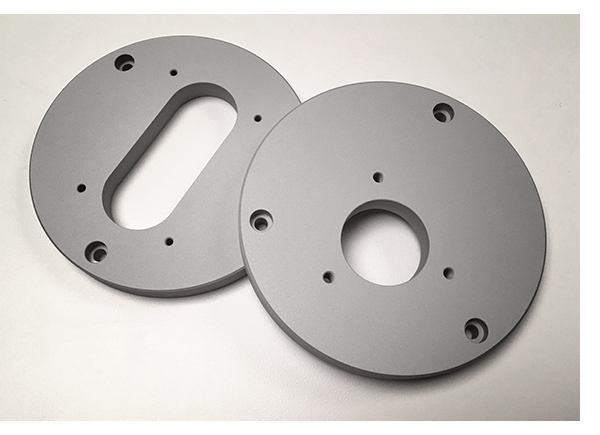 Install the platter, the belt and tonearm of your choice. A small wall wart power supply is available, supplying 12 volts DC and Soulines claims an upgraded power supply may be in the works soon. The table is semi suspended and is easy to level quickly. In addition to the power switch, 33 or 45 rpm is easily toggled, with no belt fussing necessary. A model of simplicity! The DCX does not have a massive footprint and easily fits on a 15 x 19 inch shelf. Weighing only 24 pounds, it should fit anywhere. Whether sitting on a rack, or anchored to the wall in our listening room via a Solidsteel wall bracket; the DCX is immune to foot traffic exhibiting no acoustic feedback effects. With the Apheta 2 back in place on the DCX, the Soulines table delivers more weight than the Rega P9 can muster, yet offers slightly more energy in the treble range as well; it feels as if you’ve moved up about three rows closer to the stage. Should you have a system that is already slightly forward, this combination may be too much of a good thing. In my studio system, with the Focal Sopra no.3 speakers, this was, in fact, too much of a good thing. Moved to the living room system with a PrimaLuna DiaLogue HP integrated amplifier, MOON by Simaudio LP610 and the Graham LS5/9 speakers (which is a decidedly more laid back system) the Apheta 2 is perfection. All remaining listening was done via the Conrad Johnson GAT 2 preamplifier, TEA-1a phonostage and the LP125sa+ power amplifier, via the Quad 2812 speakers. The Rega arm may need to use the supplied spacers to fine adjust VTA with some cartridges, but this is not an issue with the Jelco or the SME as the adjustments are built in. The SME V proved an incredible match for the DCX, but at nearly $6,000, this more than doubles the cost of the arm/table combination. Rest assured though, that the DCX is up to the task. A more cost effective combination is the 309 arm. Though a little spendy at MSRP of $2,800, they can usually be found on the secondary market for just under $1,000 and this makes for an incredibly high performance combination. As you might expect, the SME arm lends more heft to the presentation, while the Rega is a bit zippier. Again, this all depends on the ultimate voice you want your analog system to feature and the rest of the chain. This table is so much fun, you can really get lost in the chase. Even the vintage SME 3009 proves a great match for the DCX, combined with the Ortofon SPU delivers a rounder, more vintage sound that may be to the taste of some. No matter what combination was tried, this table provides a highly stable platform that gets out of the way of the ancillaries, delivering clean sound. Though this particular ZYX is not a megabucks cartridge, it gives minute details room to breath, never letting the softest ones get lost in the mix. Taking an old favorite for a spin, Pat Metheny’s Offramp proves illuminating, with smooth, yet shimmering cymbals throughout, and Lyle Mays’ piano effortlessly clean. The last track on side one, “Au Lait” features some ethereal, Twin Peaks-y moans that appear way back beyond the speaker boundaries. Lesser tables tend to portray this track a lot more flat and two-dimensional. Good as the Kubrick DCX performs with a modest cartridge; it can easily be the foundation for some of the world’s finest cartridges without missing a beat. Moving upscale to the Grado Signature 2 ($3,500) and the Transfiguration Phoenix ($4,500) proved the resolution of this platform, making it a breeze for both cartridges to express themselves, easily distinguishing what makes them unique. This makes it a great table to build an analog system around, splurge on the Kubrick HDX, upgrading tonearm and cartridge as your budget allows. The DCX shatters a few of my pre-existing biases, especially the one that has never been terribly fond of acrylic platters. In this case it works spectacularly and does not have an overly flat, two-dimensional sound that I’ve always chalked up to an acrylic platter. Acoustic instruments come alive and often played electronica tracks come forward from the Quads with a large, deep, front to back sound field. This table will easily immerse you in your favorite records. After auditioning a number of exciting combinations, I ended up with the combination of the Rega arm and the ZYX R-100 cartridge, reminding me a lot of the Miyajima Kansui that I never should have let a good friend talk me out of. Natural, with a little bit of bloom, but not sluggish or slow. Another outstanding match for this arm and table. Needless to say about halfway through the review I called Jason to purchase the DCX for permanent use as the analog reference driving my Audiophile Apartment system. This system consists of the Quad 2812’s and PrimaLuna DiaLogue HP premium integrated that I raved about earlier this year, via Conrad Johnson’s new TEA-1 series 2 phonostage (review to follow shortly) listening to a major pile of records. Analog either draws you in or leaves you cold, and unscientific though it may seem, when it all comes together, it keeps you up until all hours of the night, playing record after record, time melting away like you have one of those aliens from the movie Dune, that fold space somewhere nearby. Count the DCX solidly in this camp. Speed stability measured on the money, and it paints a fairly big, spacious, sonic picture, with music unfolding between the Quads in an incredibly gratifying way. Should you need to adjust the speed slightly on yours, the adjustments on the top of the subchassis make it simple as long as you possess a jeweler’s screwdriver. The skeletal aluminum structure that makes up the subchassis is machined and finished to an elegant, semi-matte silver finish. The mechanical and sonic quality of this table becomes more evident with every day spent with it. It sounds and feels like a much more expensive table – the quality is in the details; all of the surfaces and edges are finished to a level you would expect from AVID, Clearaudio or SME. The DC motor is sourced from Premotec of Holland with a simple voltage converter via a wall wart power supply. As a mechanical engineer, he stresses the importance of all parts of a mechanical system working together in synergy for the best result. Everything is strategically shaped, assembled and damped. The minute you put a record on the table, Mr. Gligorov’s hard work is evident. Plain and simple, the Soulines Kubrick DCX is a fantastic table in every way. It’s beautifully designed, mechanically and aesthetically. It’s proven easy to set up and has been playing records around the clock since we unboxed it a few months ago, providing hundreds of hours of flawless performance. We’ll report back in six months or so to give you a long-term perspective, but for now, it’s proved fantastic. This is one you should consider for your system.